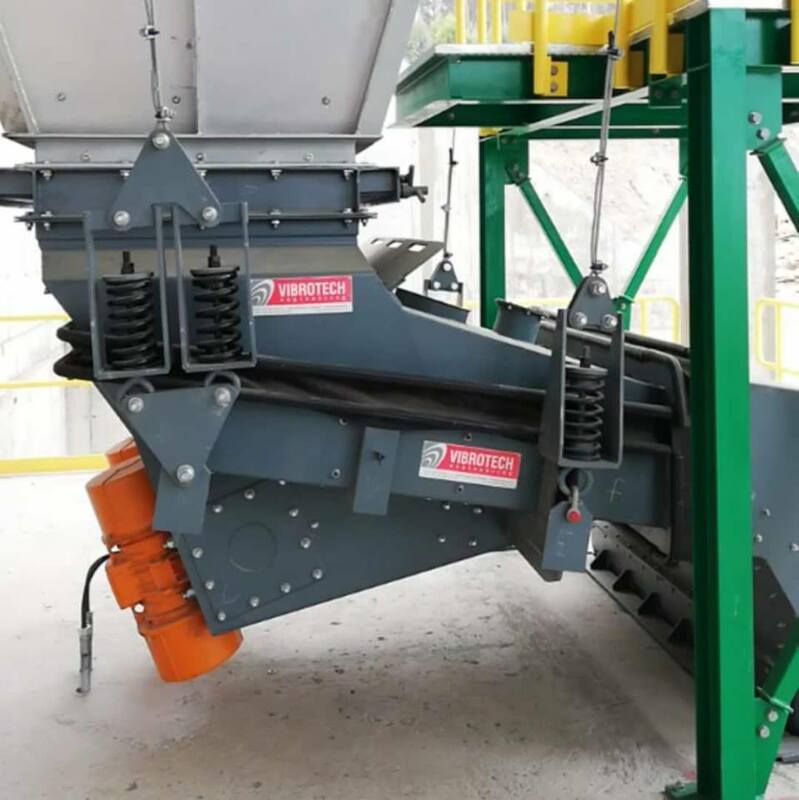 Ladles for iron foundries and machines to compact the refractory material. 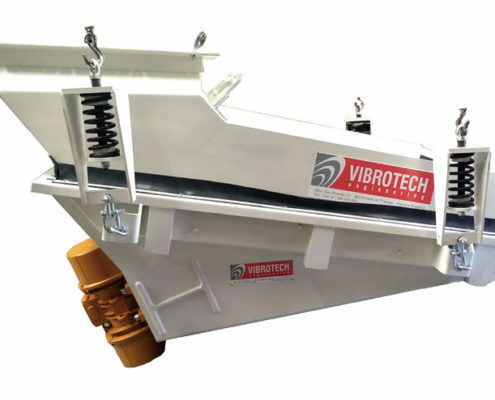 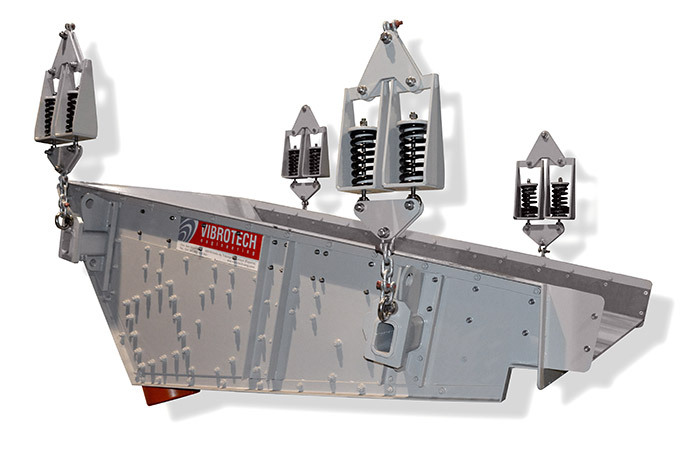 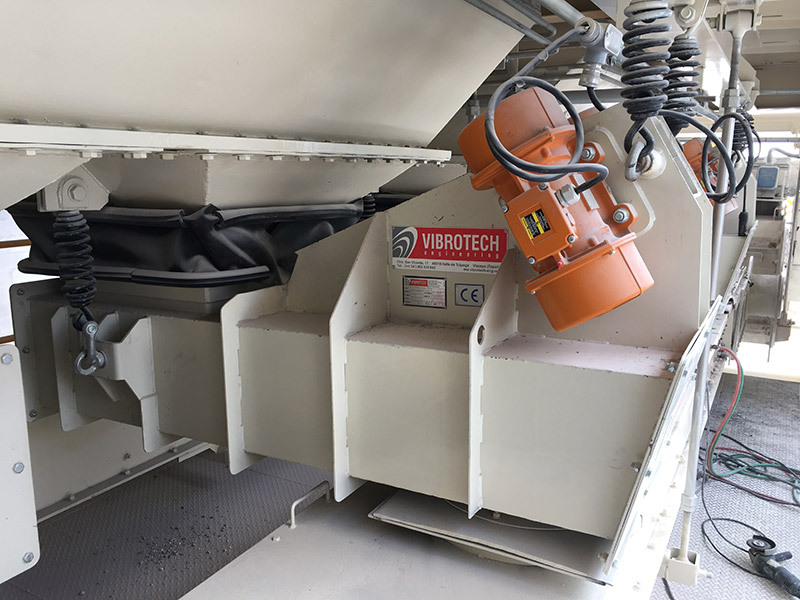 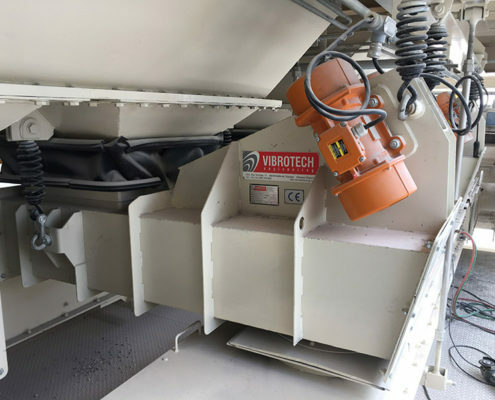 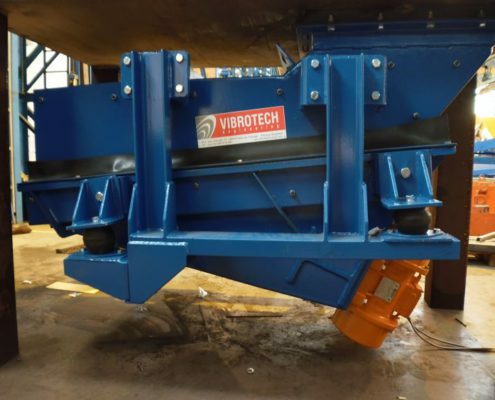 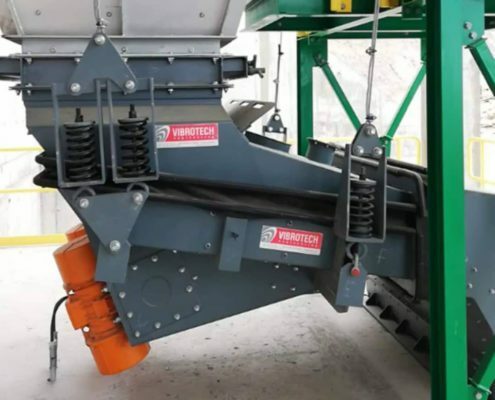 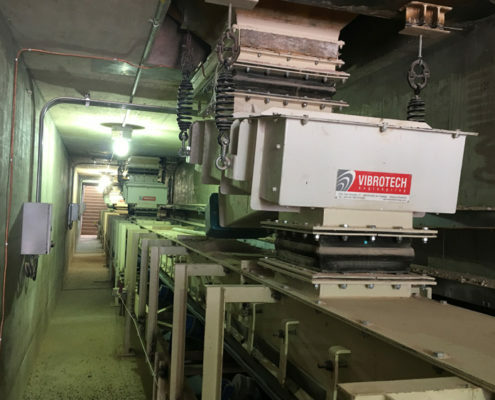 Vibrotech Engineering, S.L., designs and manufactures discharge feeders which are used to extract solid products from all kind of hoppers of different capacities. 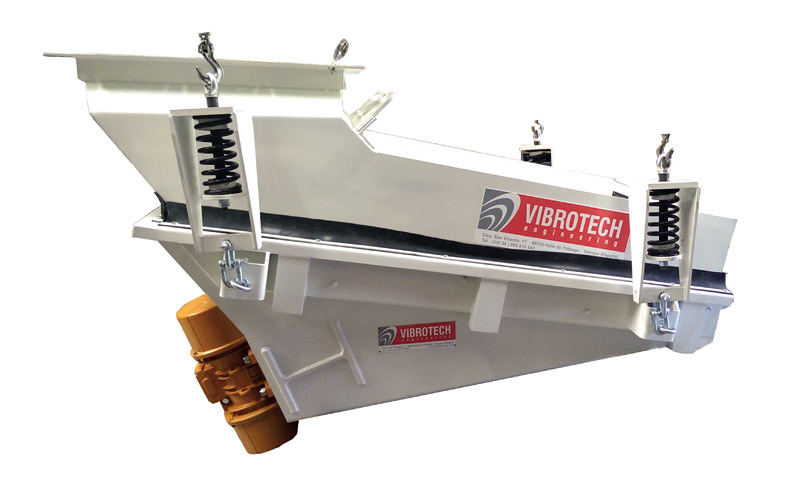 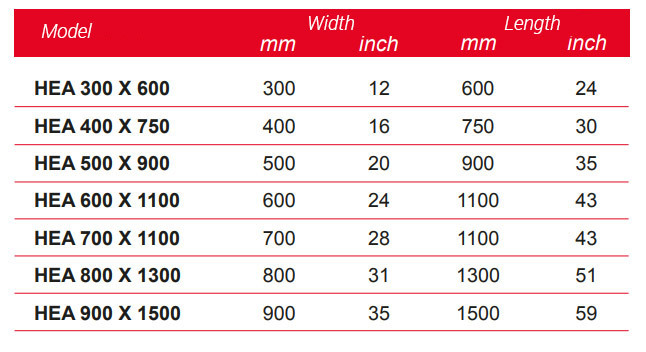 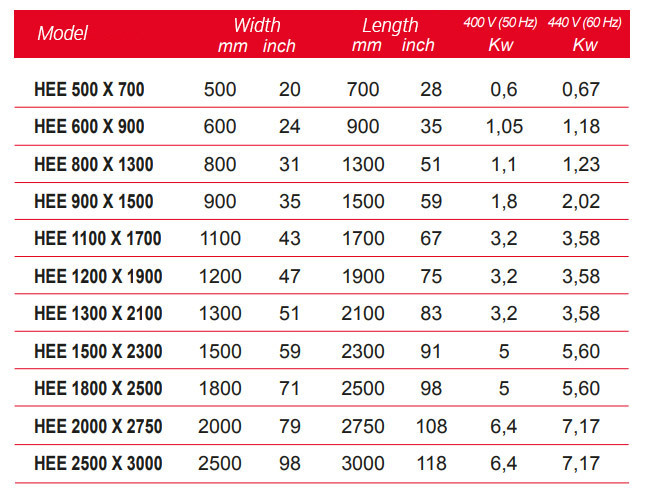 Vibrotech Engineering, S.L., manufactures this kind of machines according to the customer’s needs. 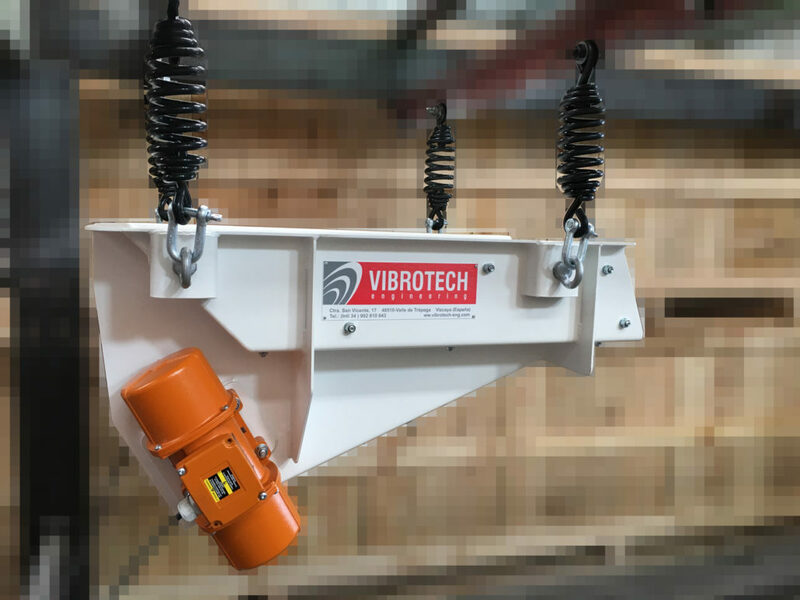 Unbanlanced motors with adjustable mass. 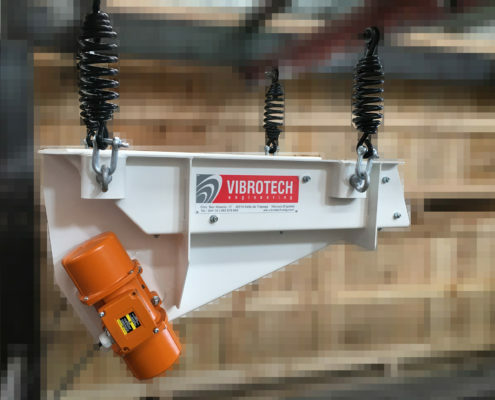 Electromagnetic vibrators driven through an electric control box for different applications as weighting operations and accurate dosing. Exciters driven through a motor and connected by cardan shaft. 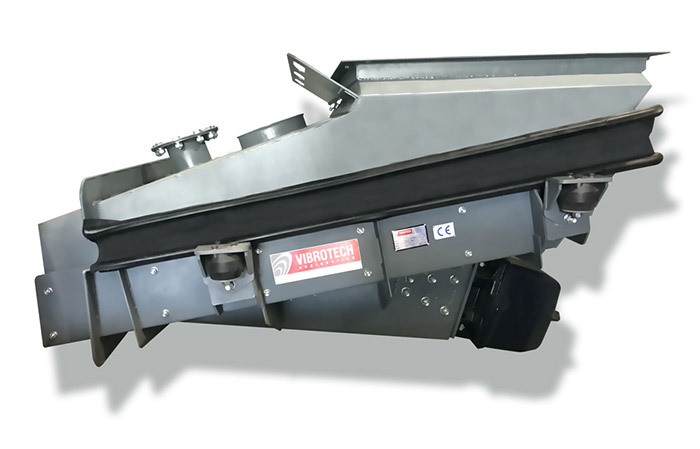 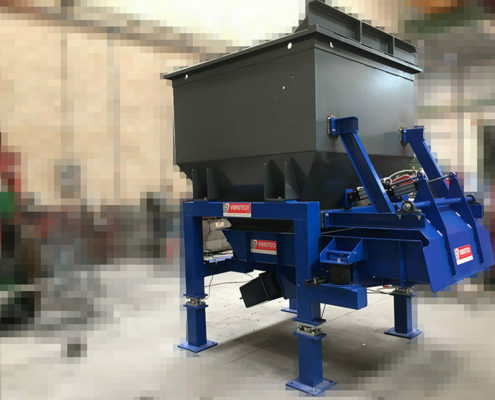 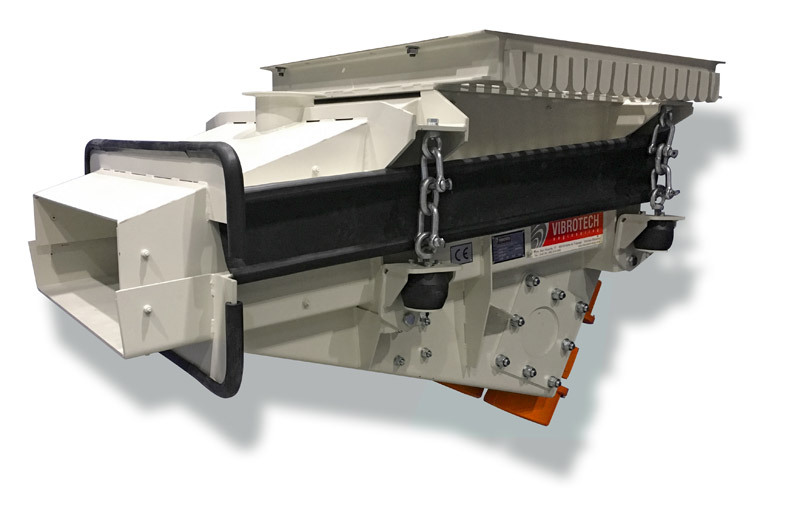 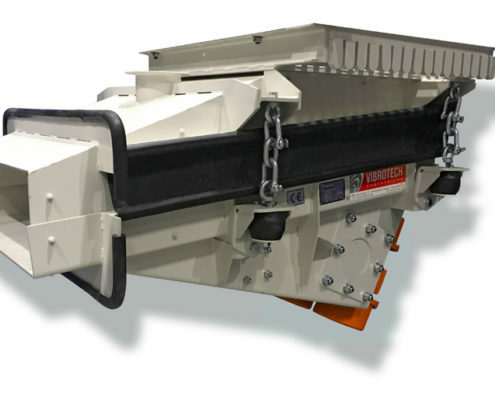 As an option, discharge feeders can be manufactured by incorporating a chute, which is installed directly to the hopper flange. 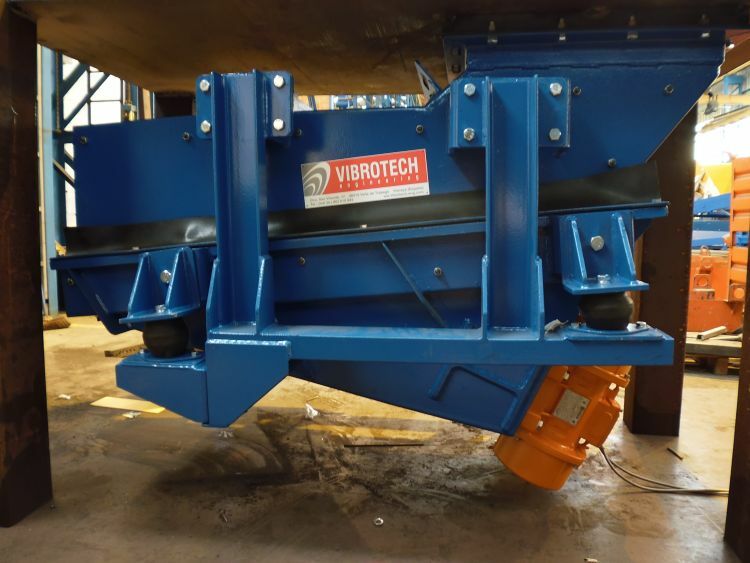 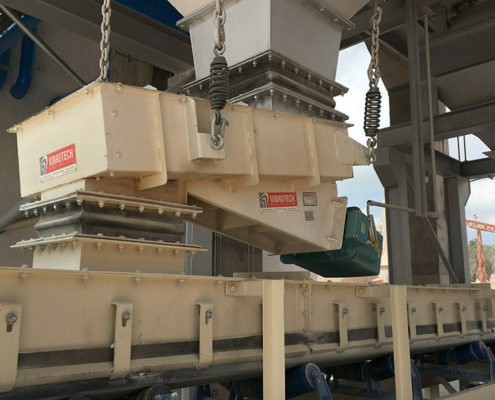 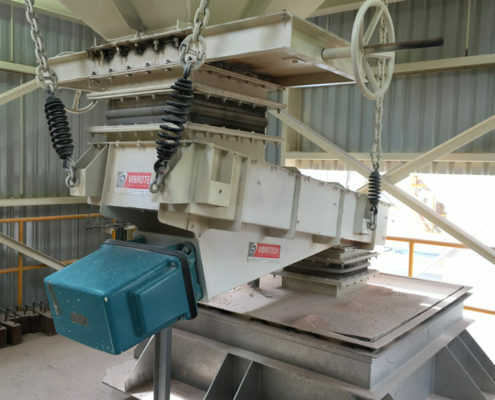 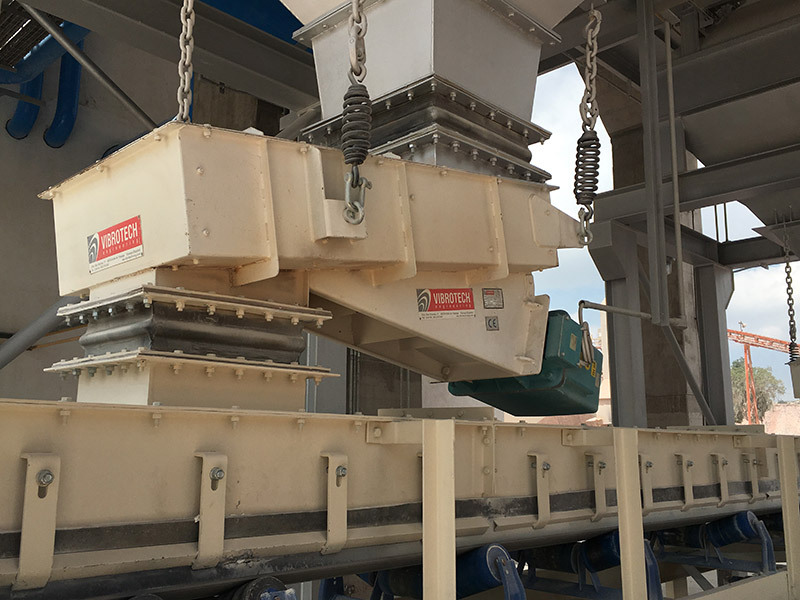 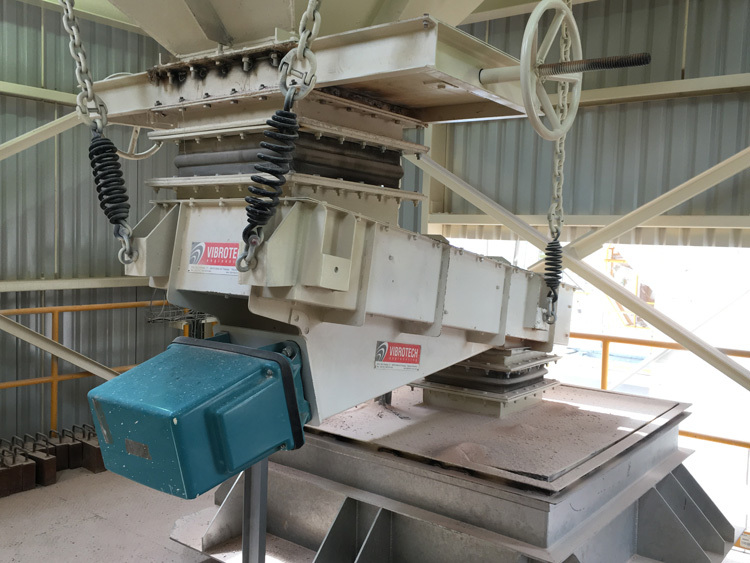 * We have a standard range of vibratory feeders, depending on the flow to be extracted. 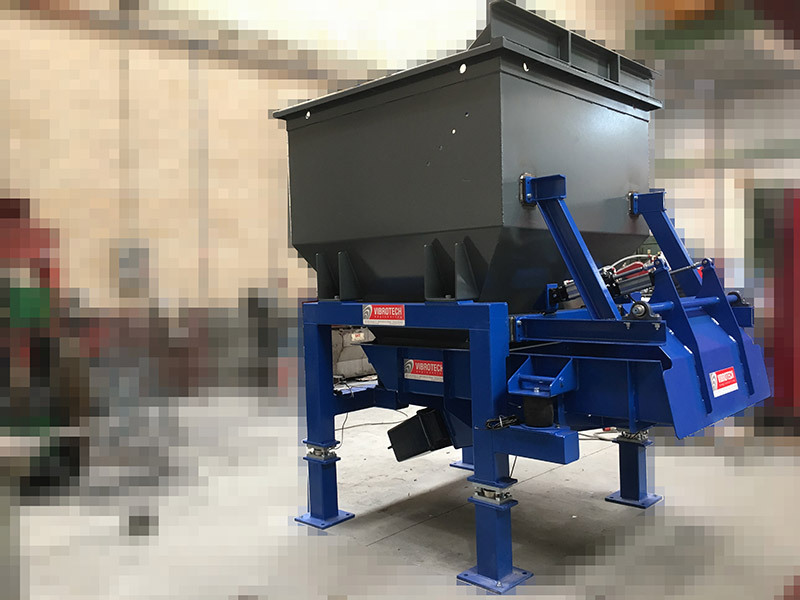 Manufacture of vibrating machinery and installations of different types for the transport and selection of solid materials.